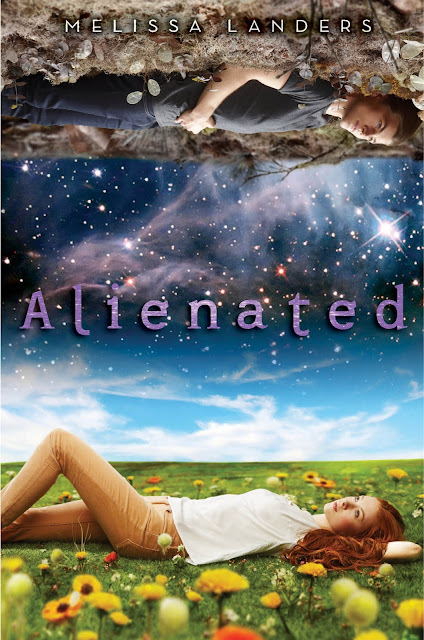 It's not very often that I stay up all night to finish a book, but Alienated was a story impossible to step away from. The mixture of logical science fiction, teen issues I remember too well, great characters, young love, and imaginative world-building all blend together in such a way that I was determined to finish it, while dreading to reach the final pages. I've always imagined that alien contact would be met with a mixture of suspicion, fear, and excitement, but more so of the first two if the beings were further advanced than ourselves. (They pretty much had to be if they made contact with us.) Alienated handled it so well that I never really had to suspend disbelief. The way events played out in the story were just as I pictured. Other aspects of Alienated's science fiction that I appreciated were the handling of evolution-caused differences between the species and the technology given to Earth by the L'eihr. Some of the variations between humans and L'eihr (who were nearly identical on a DNA level) were their food preferences, emotional capacity, and coloration. This comes from the differences between the two planets, as well as man-made influences. There were no gaps in explanation, and nothing kept me scratching my head. I suppose since the characters are so important to Alienated, I should talk about Cara and Aelyx instead of geeking out on the fantastic writing. They are each given a point of view in the story, in alternating chapters, giving the reader insight to their emotions and the ability to watch them grow as events unfold. This was vital to the story. Their relationship with each other felt natural, without any of the gag-worthy instalove. Additionally, every character - not just the main ones - was well-developed and integral to the progression of the story. I think science-fictional realism, like in Alienated, just might be the new, hot trend in YA (I'm seeing a lot of it), but Alienated is the best that I've encountered so far. It has one of the best stories and execution that I've read this year. (I read this in 2013, by the way.) If you can get your hands on a copy of this book, run - do not walk - to grab it. There's nothing like a book that kills a reading slump! I generally wander off to read historical romances when I'm in one of those. Dystopian novels are always so much more interesting after reading about couples from yesteryear falling into each other's arms.